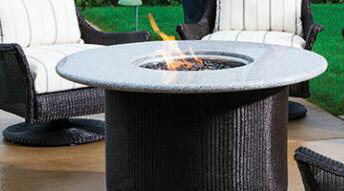 It is possible to ensure that you are able to use your outdoor area all-year-round thanks to the addition of a fire pit in your outdoor area. 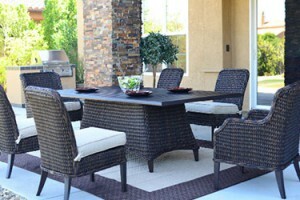 At Patio Land USA, we realize that our customers rely on us to provide the best possible selection and pricing. 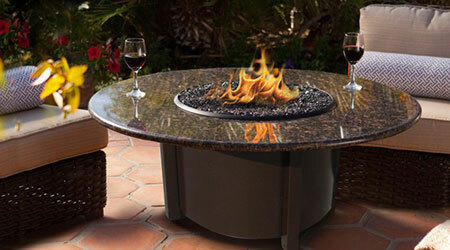 When compared to a traditional outdoor fireplace, a fire pit is an immensely desirable alternative. They are able to set a seductive mood and create a luxury environment. 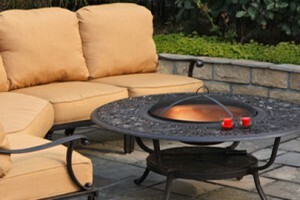 One of the options that we proudly carry includes the Pride Family Brands® outdoor patio fire pits. If you want to know more about this option, we have more information available. 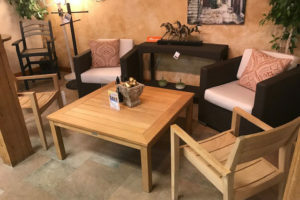 Pride Family® was founded more than 30 years ago, and the goal was simple – provide the finest in durable casual furniture. As you can imagine, the company grew during the last three decades and it has since required even more manufacturing capacity – this saw the company move to Costa Rica in 1983. When putting together everything offered by Pride Family Brands®, it is manufactured piece by piece. A combination of an integrated full service production line of over 800 members, advanced computerization, and highly skilled artisans ensure that you always get true quality. 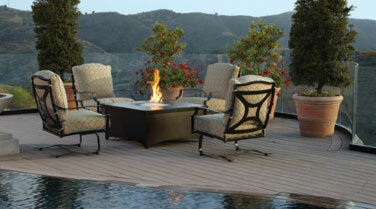 There are a few different options for your Pride Family Brands® outdoor patio fire pits. 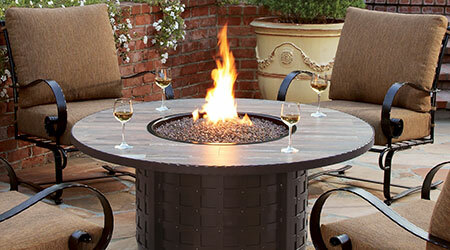 If you want to use an outdoor fire pit to turn your backyard into another room of your house, it is possible. The Castelle option is a luxury, handcrafted cast top table that has a rustic feel to it. The square design is sure to be a popular point of discussion. The Prestige option has a bit more unrefined look to it, which is great for those who want to enjoy an authentic outdoor experience. 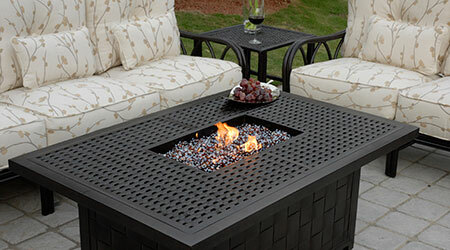 Because of the company’s dedication to excellence and their committed design process, we know that our Pride Family Brands® outdoor patio fire pits are not only going to look great, but are also built to last. If you want to be able to bring the indoors outside, this is one of the best options that you will ever find.